Scattered across the Caribbean Sea like so many emeralds, St Vincent & the Grenadines is a glorious-looking archipelago. The country’s name makes it sound like an old soul band, and aptly there’s something timeless about the place. Lush mountain peaks, white sands, secluded coves, volcanic landscapes and spectacular coral reefs all go towards making this one of the region’s most diverse spots. For hikers, sailors and those who just fancy kicking back in wave-lapped sunshine for a week or two, it’s some proposition. The country, which found Hollywood fame when it was used as a setting for the Pirates of the Caribbean films, is made up of 32 islands and cays. St Vincent itself is by far the largest, and has a laid-back capital city, Kingstown, to show for it. Colonial architecture, botanical gardens and a fish market are among the attractions. The latter hints at the dishes that dominate the archipelago’s food scene – fresh seafood, usually washed down with a cold Hairoun beer, is a speciality. Elsewhere on St Vincent there’s some fantastic walking to be had, most notably the trail that leads up to La Soufrière volcano. The smaller islands that make up the Grenadines offer an even quieter pace of life. Among the most appealing spots are Bequia, which has good claim to that overused adage “the Caribbean as it used to be,” and Mustique, a long-established A-list bolthole that has welcomed the likes of Mick Jagger, Kate Moss and the Duke and Duchess of Cambridge. The best way to experience the outlying islands is to hop between them by boat, and the country as a whole has near-legendary status in the yachting community. 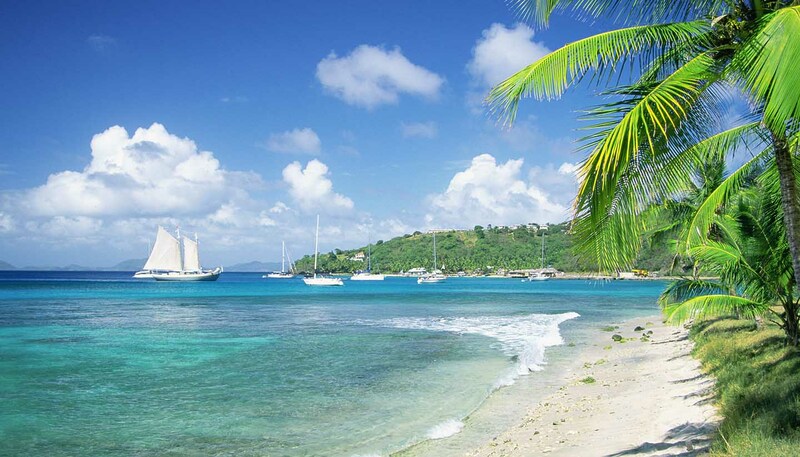 The most obvious focal point on a sailing trip is the stupendously scenic Tobago Cays, which is made up of five uninhabited islands and offers excellent potential for divers and snorkelers. 389 sq km (150 sq miles). Queen Elizabeth II since 1952, represented locally by Governor-General Frederick Ballantyne since 2002. Prime Minister Ralph Gonsalves since 2001. Most visits to St Vincent and the Grenadines are trouble-free, but there have been incidents of crime including murder, robbery and assault. UK health authorities have classified St Vincent and the Grenadines as having a risk of Zika virus transmission. For information and advice about the risks associated with Zika virus, visit the National Travel Health Network and Centre website. Cases of Chikungunya virus have been confirmed in St Vincent and the Grenadines. You should take steps to avoid being bitten by mosquitoes. Although there’s no recent history of terrorism in St Vincent and the Grenadines, attacks can’t be ruled out. Consular support may be limited in St Vincent and the Grenadines as there is no British High Commission office. However, the British High Commission in Bridgetown, Barbados, can provide consular support. Most visits are trouble-free, but there have been incidents of crime including murder, robbery and assault. The International Civil Aviation Organisation has carried out an audit of the level of implementation of the critical elements of safety oversight in St Vincent and the Grenadines. There are severe penalties for all drug offences. Pack your own luggage and do not carry anything through customs for anyone else. British passport holders don’t need a visa to visit St Vincent and the Grenadines. On entry, you will be granted a specified period to stay. If you wish to stay longer, you must apply and pay for an extension of stay through the St Vincent Immigration Department. It’s an offence to overstay the entry period or to work without a work permit. Your passport should be valid for a minimum period of 6 months from the date of entry into St Vincent. UK Emergency Travel Documents are accepted for entry, airside transit and exit from St Vincent and the Grenadines. Entry requirements may change from time to time. You should check with the St Vincent High Commission in London before you travel. Import licences are required for the import of any foodstuffs to the island. Medical treatment in St Vincent and the Grenadines can be expensive.